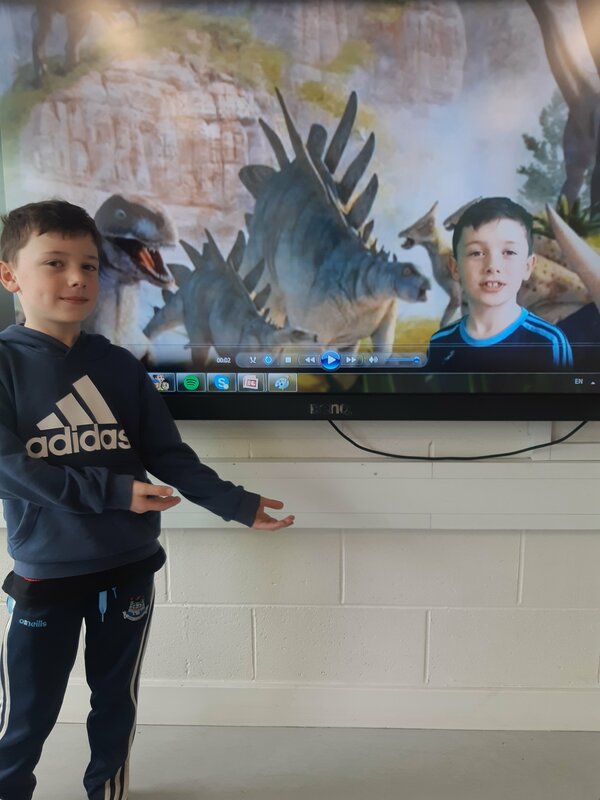 2nd class have been enjoying learning all about dinosaurs for the past month. 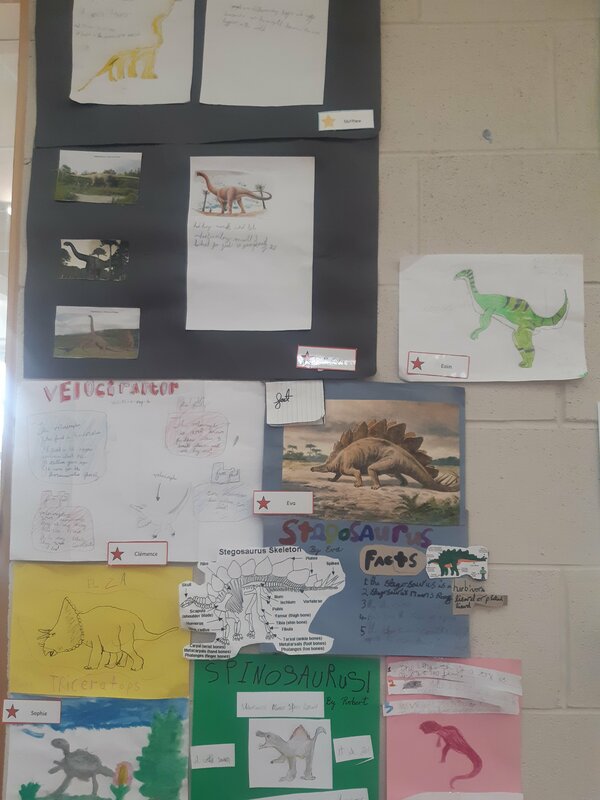 As part of this, each student created a project about a specific dinosaur. 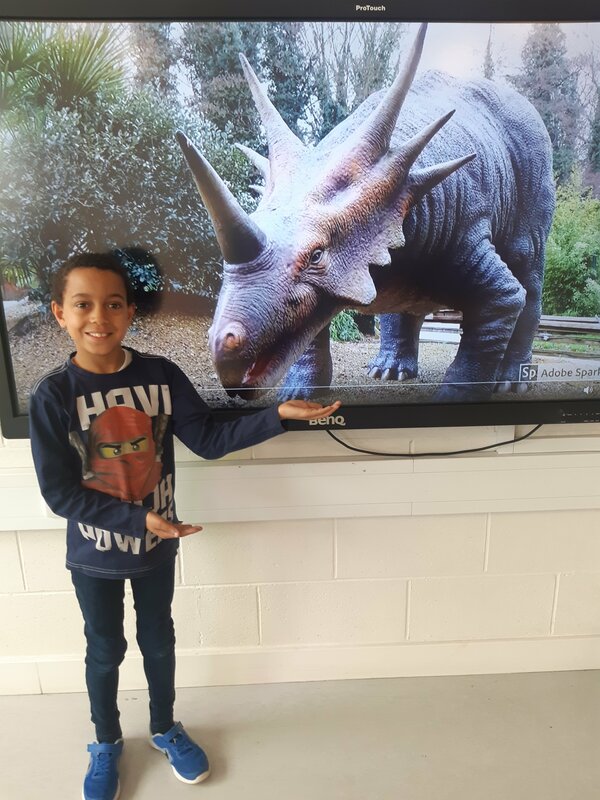 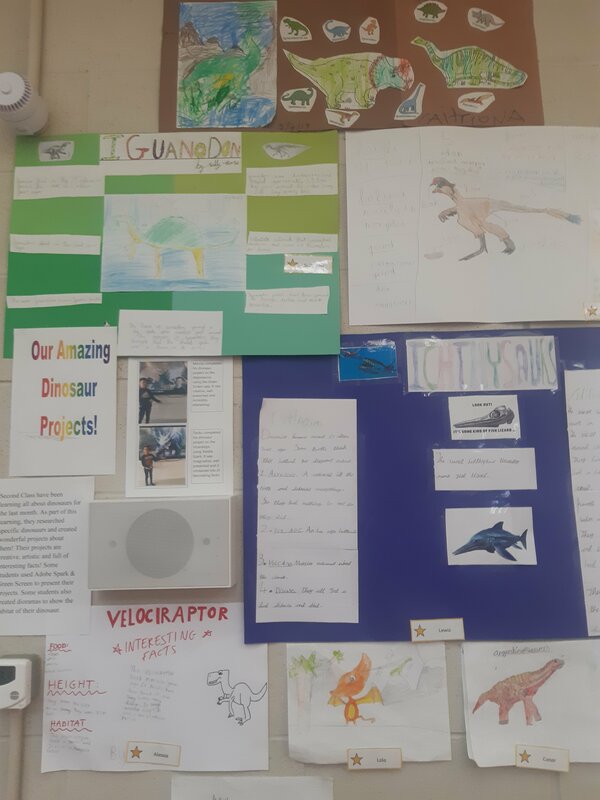 Some of these projects included: dioramas to reflect their dinosaur’s habitat, posters with illustrations & interesting facts, a paper mache dinosaur egg, dinosaurs models and Adobe Spark & Green Screen presentations. 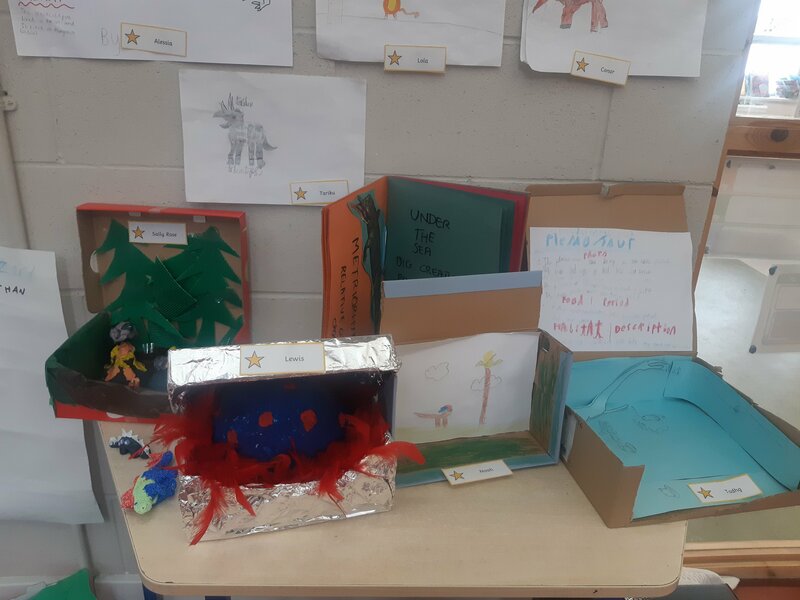 Each student presented their project to the class on Friday & other students were given the opportunity to ask them questions. 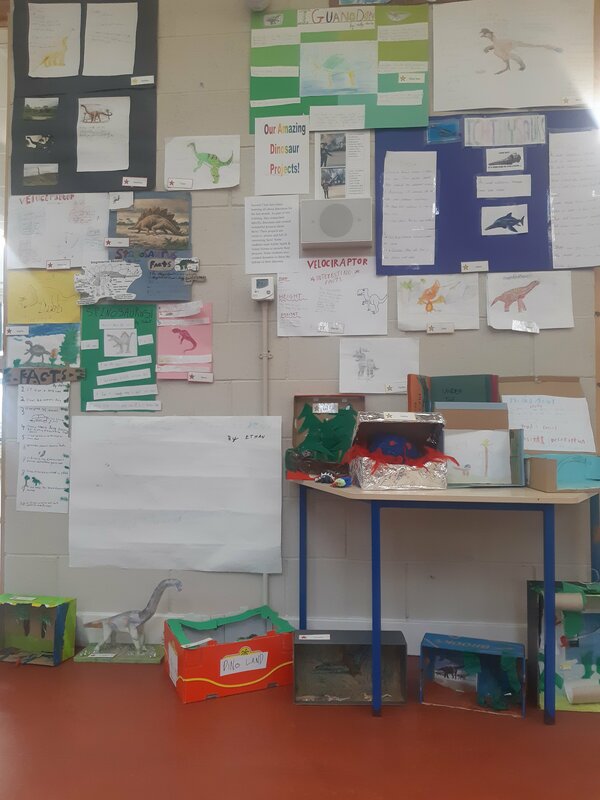 We were all so impressed with each student’s wonderful work & I think we may have a few paleontologists amongst us in the future! 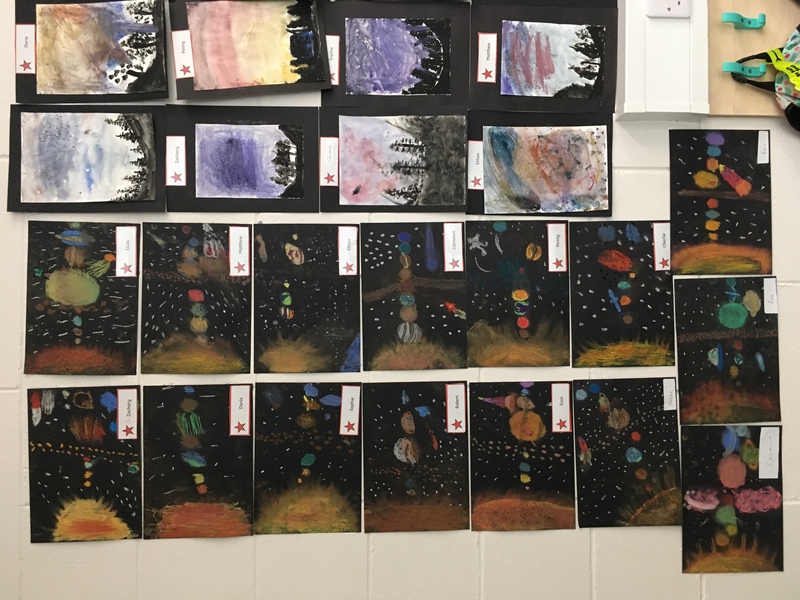 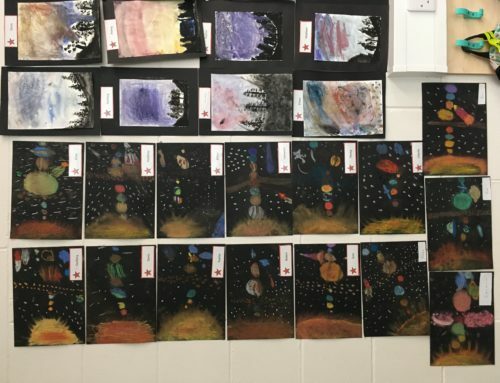 2nd class learnt about the planets! 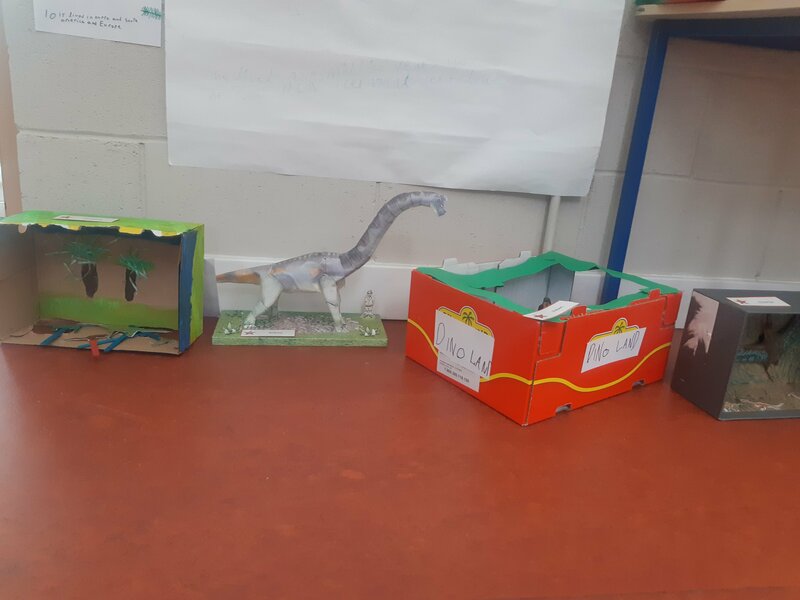 Our Uganda Presentations using Adobe Spark!